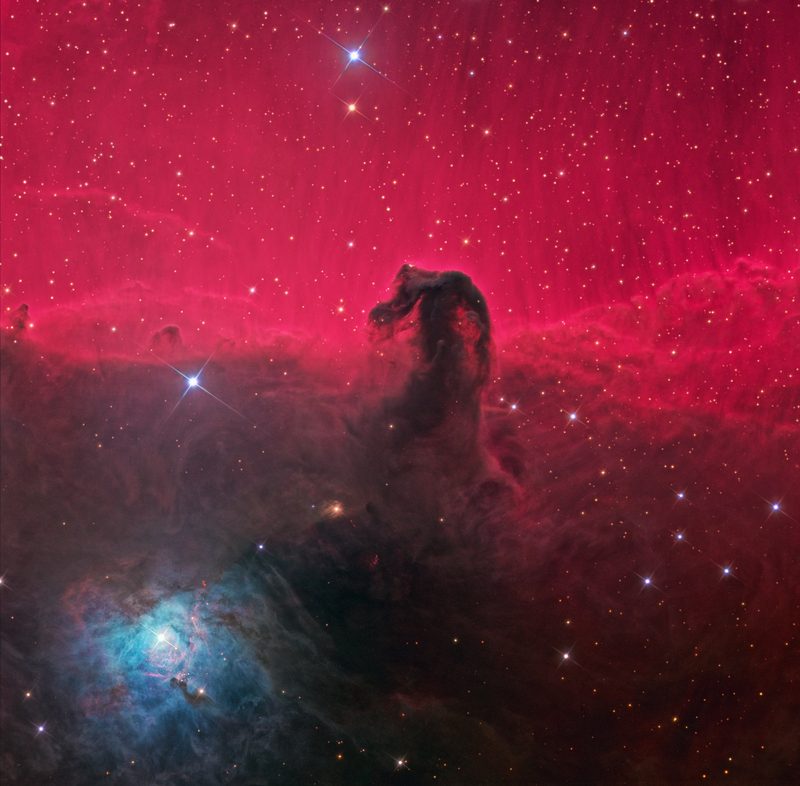 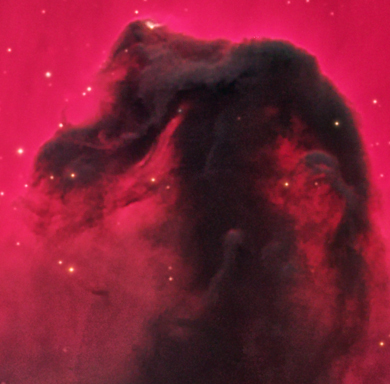 Horsehead nebula and NGC2023 in Orion (B33). 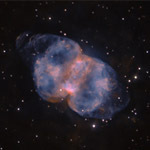 B33-1 is the little yellow patch on the brow on the "head" area. 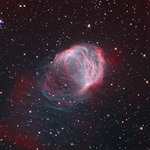 The red knots below the neck area are known as Herbig-Haro objects and are believed to be stars in the early stages of formation. 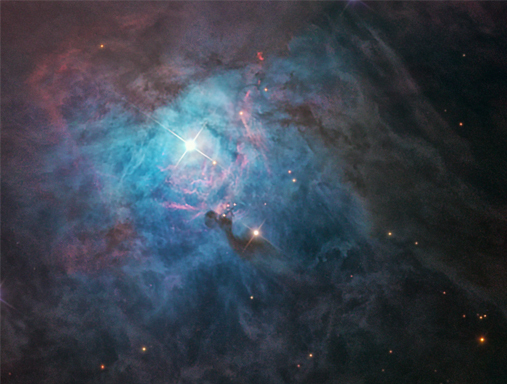 NGC2023 shows ionization fronts laced with gas and dust. 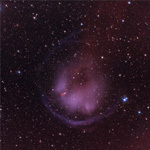 Combined Ha, Lum, and RGB data.